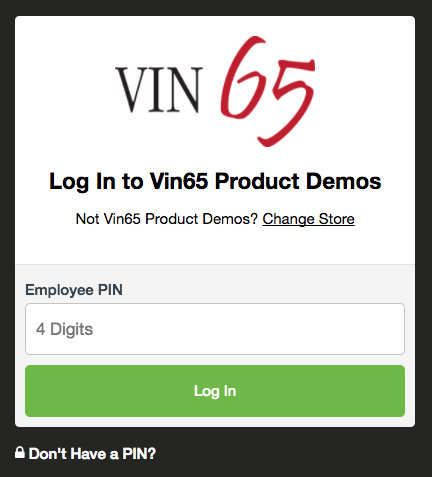 *The WineDirect POS system is compatible with most iPad, iPhone, and iPod devices (iOS 8.1 or higher required). See a complete list of supported devices. Enable your staff to sell wine anywhere (internet access or cellular data required), in the tasting room, at an event, or at a wine pouring with the point-of-sale (POS) application. 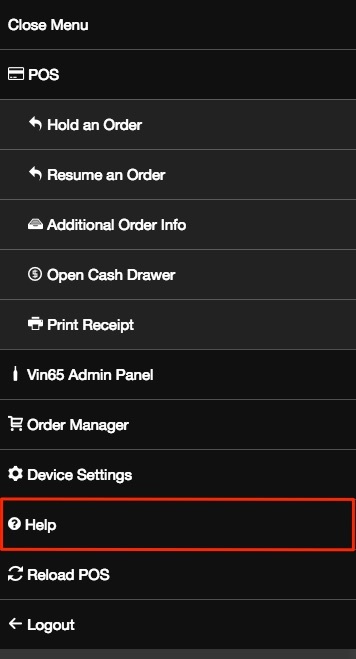 Click on your device type to the right to learn how to install and use the WineDirect POS system. Using the WineDirect POS system you will be able to place orders for new visitors to the tasting room as well as look up returning customers in your contact database. Using the integrated credit card swipe you will be able to place orders using a credit card as well as swipe drivers licenses to collect customer information. Below are a list of topics related to the POS. 1. 00:25 How to add POS Categories. 2. 00:36 How to assign Product to POS Categories. 3. 00:45 Placing an Order on the WineDirect POS as "Guest". 4. 02:10 Placing an Order for an existing customer. 5. 02:50 Promos in a POS Order. 6. 03:20 Adding Shipping to a POS Order. 7. 04:30 Declined Credit Card Message. There are two ways to log in to the POS: using PINs and using the traditional username and password login. For both scenarios, users should have their own admin accounts before getting started. Please Note: The POS system uses the same login as the WineDirect admin panel. For information on setting up admin accounts please see the Admin Users Documentation. Before logging in for the first time you must setup your POS profile in the admin panel. For more information please see the POS Profile Documentation. 1. Install the POS application on you device. See: Installation Documentation. 2. Setup a POS Profile from within your admin panel. 3. Locate the POS application icon on your home screen. 5. Enter the username & password for your WineDirect account. Every 24 hours you will be prompted to log in with a Username and Password to authenticate that your PIN logins will be associated with the correct winery. You can create a master Username and Password for your tasting room managers to log in to the POS at the beginning of the day. All logins thereafter will be done through a PIN associated with an individual person. Before enabling PINs it is recommended that you confirm that all your Sales Associates have their own individual Usernames and Passwords that are linked to their Sales Associate. Once PINs are enabled, the next time a staff member logs in to the POS using their Username and Password, they will be prompted to create a PIN. If you have multiple websites on WineDirect and have user permissions of a Master Admin you will need to use a 5 digit PIN instead of 4 digits to authenticate your user in the system. 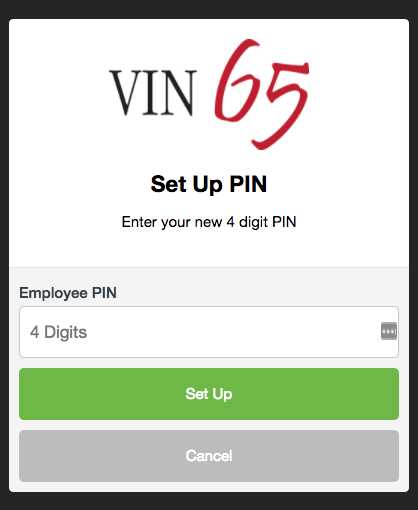 The 5 digit PIN will allow Master Admins to access any of the POS systems within your group of websites. Domain and Basic admins can only access the POS system associated with the website that their admin user has been created on. Once their PIN is set up, your staff will be prompted to enter it each time they begin a new transaction if you have force-logout turned on. The force-logout setting can be toggled on or off in POS Profiles. If the Sales Associate is correctly set up in the Admin User section, all transactions will be linked appropriately to the Sales Associate, making transactions much quicker by removing the need for Additional Order Info, which is removable in POS Profiles. If you have both PINs and exchanges enabled on your POS, but no Sales Associate linked to the PIN performing the refund or exchange, the refund or exchange will be attributed to the PIN that did the original transaction. Ensure all usernames are unique for your staff and that each has its own PIN and Sales Associate to capture the most accurate reporting for all transactions. PINs can also be set up in the Admin Panel under Admin Users. A user can log out of their POS session either from the side menu or using the logout button at the end of a POS transaction. Having trouble with the POS app? Help us improve our POS system by sending us some additional information regarding your issue. There are two main methods you can use to send feedback through the app: using the Help Menu or Send Error Report if you encounter a hard error while using the POS. To help us better understand the network conditions and setup for the POS application that you are using, there is a Help Menu section where you will be able to submit a diagnostic of the application and have it automatically sent to our support team. If you would also like additional follow-up regarding your submission, please contact support@winedirect.com and let our team know that you are submitting a report either before or after you have submitted a report. 1. Open the side menu on the POS app and select Help. 2. In the dialog box that opens, enter any notes that you would like to include with the trouble shooting report in the Notes box. 3. When you are ready to run and submit your report, click Send Report. 4. A report of your POS settings and a network connection test will be generated automatically for you and a success message will confirm the report has been sent. We appreciate you taking the time to send in a report when you are expericing issues. This helps us improve the performance and stability of the POS system plus diagnose issues that might be specific to your setup or environment. 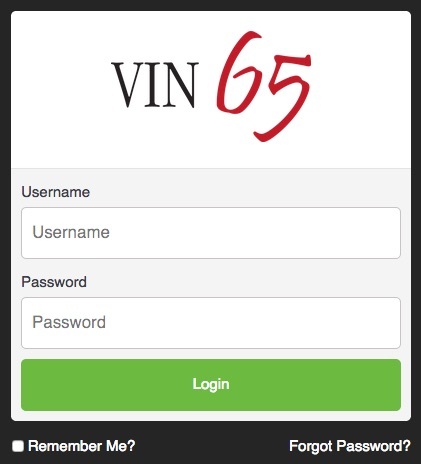 You can contact support@vin65.com to follow up on any reports that you submit. If you encounter a hard error, where the POS crashes, you can help us troubleshoot by providing some additional information about the actions you were trying to complete before you encountered the error. 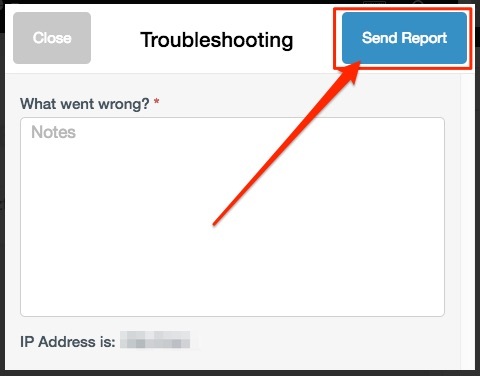 Like the troubleshooting tools found under the Help menu, the Send Error Report option will send a report of your POS settings to our support team, as well as more information on the POS system at the time of the error. 1. On the System Error popup click Send Error Report. 2. Enter any additional notes that you would like to include with the error report in the Notes box. 3. When you are ready to run and submit your report, click Send. We appreciate you taking the time to send in a report when you are expericing issues. You can contact support@winedirect.com to follow up on any reports that you submit.